The Big Hog Plate ($45) is 360g of lightly seasoned Hungarian Mangalitsa pork belly. The variety of Korean food here has certainly expanded since it started gaining traction a decade ago. 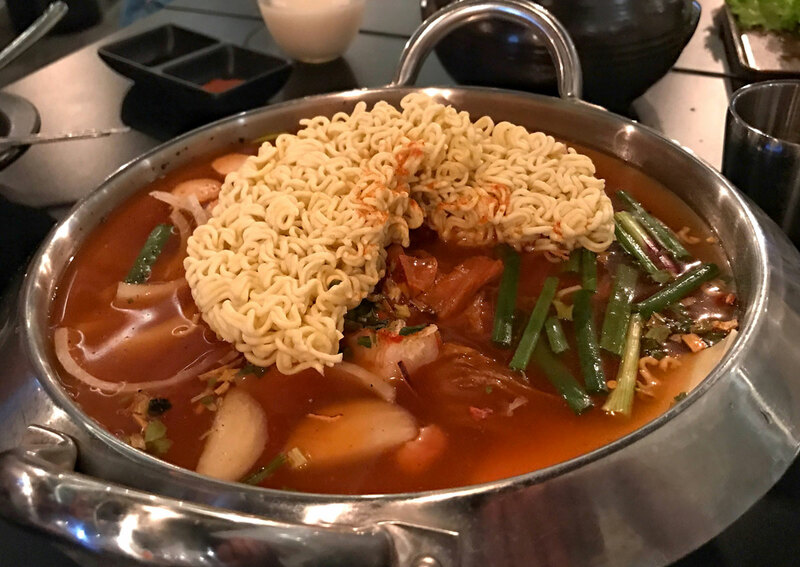 From ginseng chicken soup to fried chicken to bingsu, you may never have to go to Korea to enjoy its cuisine. But the barbecue seems to have endeared itself to Singaporeans more than anything else. You can enjoy a smokey meal of grilled meats in any corner of the island. Conveniently located at School Of The Arts (SOTA), it's a popular spot for students because of its super affordable price range. 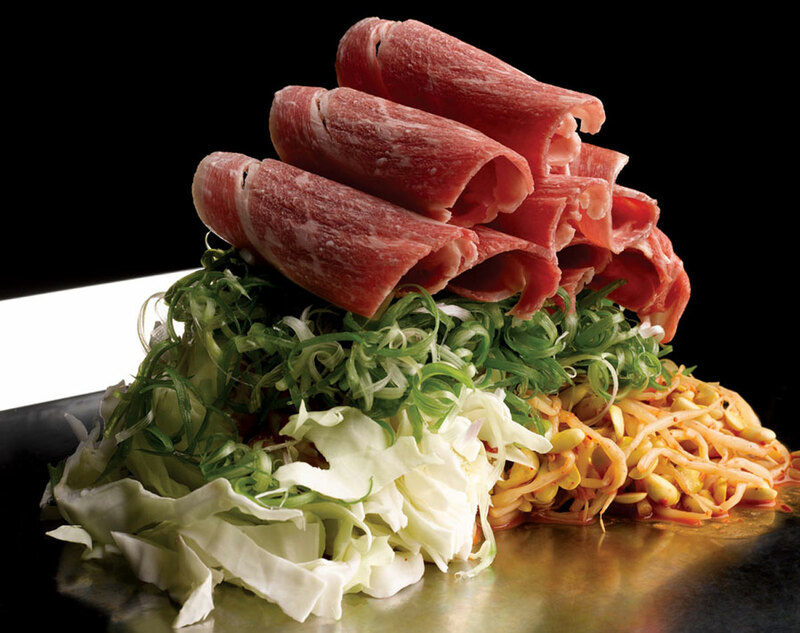 Go for lunch on a weekday and have an all you can eat KBBQ for only $14. Even if you can't make it for lunch, dinner on the weekends is only going to cost you $24.90. Very worth it if you ask me. Oh, and did I mention that you'll get some slightly more premium meats during dinner? One popular player is E!GHT Korean BBQ at The Central in Clarke Quay. It opened its second outlet in Orchard Road recently and to draw more customers, added new items to the menu. One element remains though. E!GHT is known for its makgeolli (fermented rice wine). Try the organic honey makgeolli ($35). It's light enough for non-drinkers, but is just enough to ensure your mealtime is a happy one. The Big Hog Plate ($45) is 360g of lightly seasoned Hungarian Mangalitsa pork belly. It is cubed and tossed on the grill till it is crispy outside but moist inside. Pork lovers will appreciate how smoothly the fats and the meat mix. This is best savoured slowly. Just for lunch, the Chul Pan (hot grill, from $15 a portion) offers meat with vegetables stir-fried on the grill. When you're done, you can add steamed rice to the grill to soak up the spicy sauce. Lunch should end in under an hour, and you'll be back in the office with a full stomach. 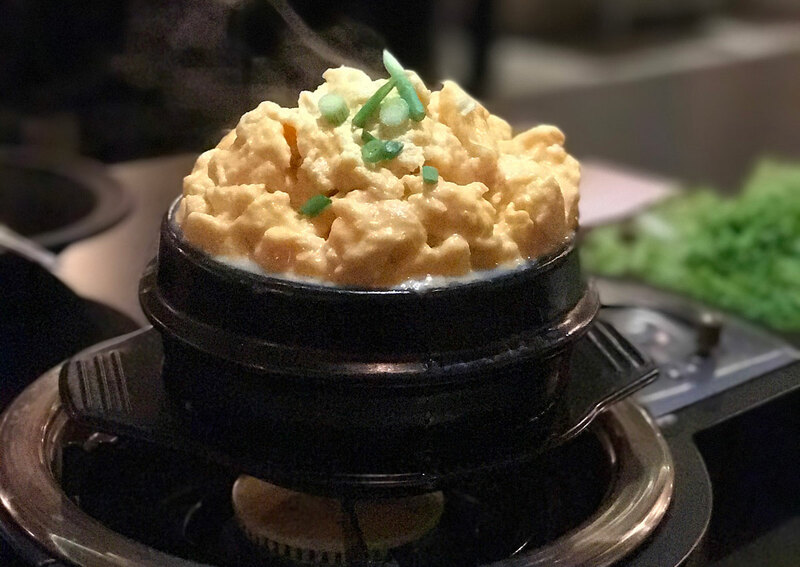 Egg dishes are popular, and the Special Steamed Egg ($12) could be the next big hit. Eggs and a fish stock are mixed and whisked over low heat till it fluffs out. It looks light and ethereal but it's a stomach filler. And it makes a wonderful picture for social media. The army stew is served as part of the 8 Colours Set ($98) at a top-up of $6, and it is worth the money. I'm such a fan of the spicy/tart kimchi stew. The ingredients do not matter - the highlight here is the instant noodles - but the stew just ties it all up. 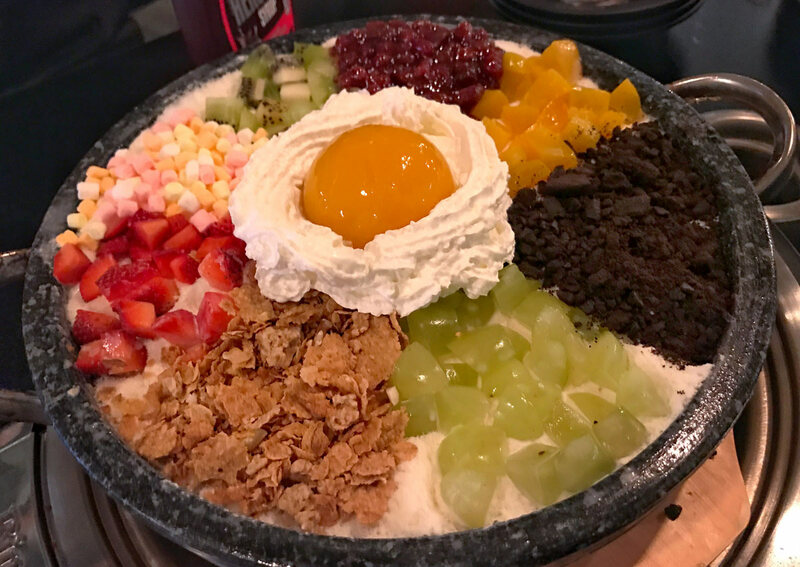 For those who need a huge dessert to end the meal, the Bimbimbap Bingsu ($28) will hit the spot. The soft shaved milk ice is thankfully not too sweet but the fruits and bits of candies will compensate for that.